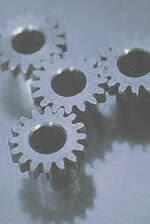 Description: The aim of this web-based project is to develop a system based on a specific framework (.NET or J2EE). It is developed using .NET framework and includes complete analysis of the system with application and patterns analysis. CSharp is used as programming language in ASP.NET and Microsoft SQL Server 2000 is used as database. It has sample courses and going through a sample payment procedure. Description: The aim of this project is to design a security mechanism for an enterprise information system using traditional password and modern Passface technique. It is done using ASP and Access. 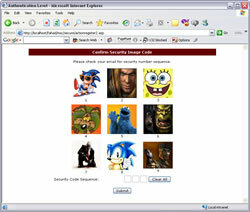 COM component was developed using VB that includes security measures to authenticate users. Description: It is a research project to investigate the Relationship between MBASE, Win-Win Spiral Model, UML and Rational Unified Process models. It includes reading of many books, journals and web resources. We then compile a report based on our findings and evaulate it. Description: The aim of this assignment is to develop an encryption algorithm inspired by some of the existing algorithms. We choose Playfair and improve that by adding more functionality and called it Snuffer Cipher. It was developed using Visual Basic. Description: The aim of this project is to develop a data warehouse application to simulate the idea of data warehousing. This project is developed as a coursework of Data Mining and Warehosuing module assigned to fulfill the module requirements. Microsoft SQL Server 2000 is used as database and different applications are tested according to the coursework requirements. Description: The aim of this coursework is to develop an application and database to demonstrate the concepts of distributed database systems based on the given requirements. 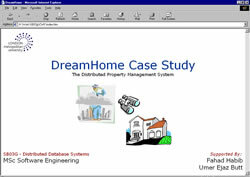 Microsoft Access2000 used as back-end store distributed database information and Active Server Pages (ASP) is used to implement the case study. Description: The aim of this assignment is to develop understanding about the basic software methodologies and to propose some solution of the given problem. UML tools and concepts are used to find the desired strategy of the scenario. 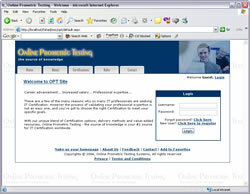 Description: It was developed using Active Server Pages (ASP) as server side scripting. It consists of 3 parts i.e. Web-based Application, Desktop Application and WAP application. 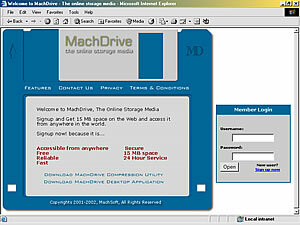 Tools like Macromedia Dreamweaver UltraDev, Macromedia Fireworks, Microsoft SQL Server and IIS were used in the development phases of the web-based application. Microsoft Visual Basic and Nokia WAP toolkit were used during the development of Desktop and WAP applications. 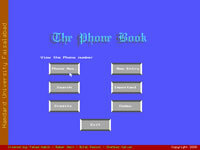 PhoneBook - the address book, developed using C++. This project helped me in understanding the programming techniques and improves my logic about problem handling. 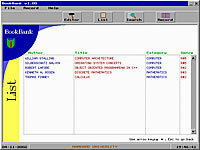 A library management system was developed using Visual J++. Microsoft Access was used as database on backend (View Document). AWA - the most-wanted language, compiler developed using Java language. It follows the customized grammar that was built using combined syntax of C and Pascal. A library management system was developed using Java Server Pages (JSP) and Active Server Pages (ASP) technologies. 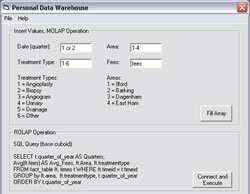 Microsoft Access was used as database on backend.